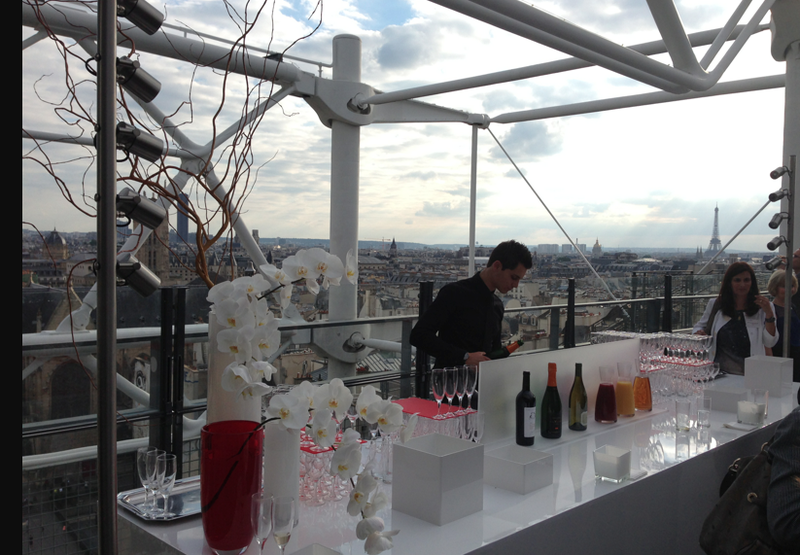 In Paris, you can see the roof practically everywhere… but the great terraces are often quite hidden. Not always obvious to get access to a coffee or a drink in the sun, at one of the luxurious ones! 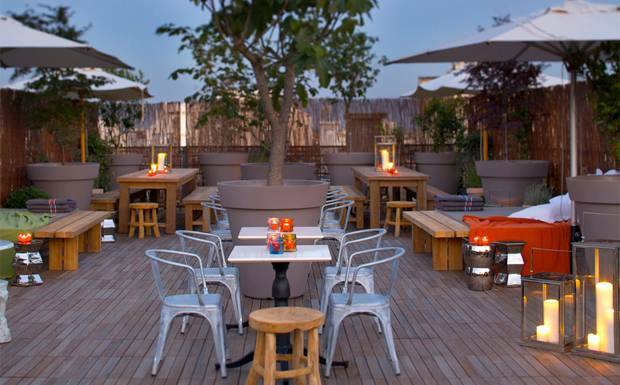 But I have discovered 10 rooftop terraces that I haven´t tried yet, still I´m going to share with you. 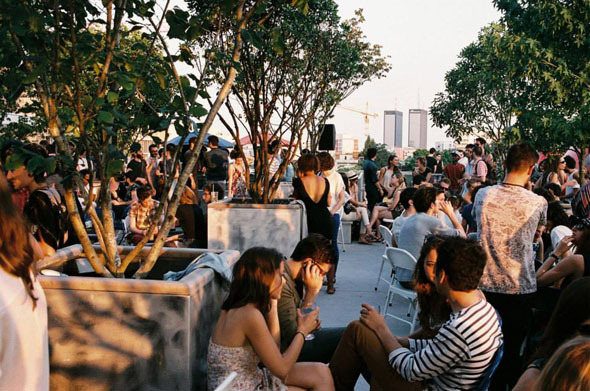 Because this is where it is going to happen over the summer…Paris follows in the footsteps of the cool luxurious rooftop-party-tendency spreading from New York.. 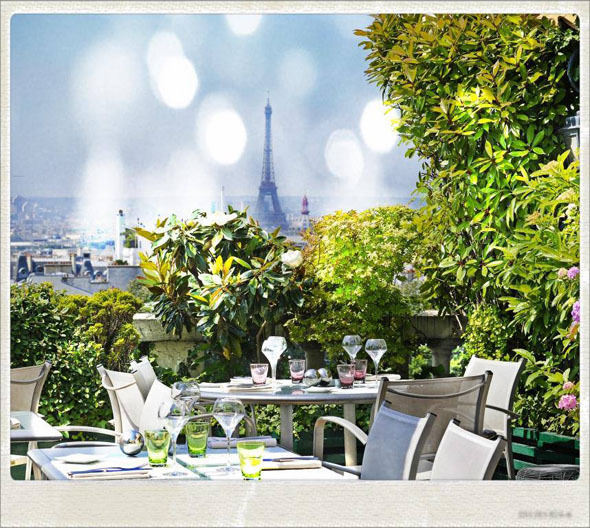 So I am following too: The 10 of the most recommended rooftop terraces in Paris. Newbie is located higher than the Wanderlust, but still at Cité de la Mode et du Design. This terrace, which is also a restaurant and club is at the top of the hype…Owned by the same people who has Baron. 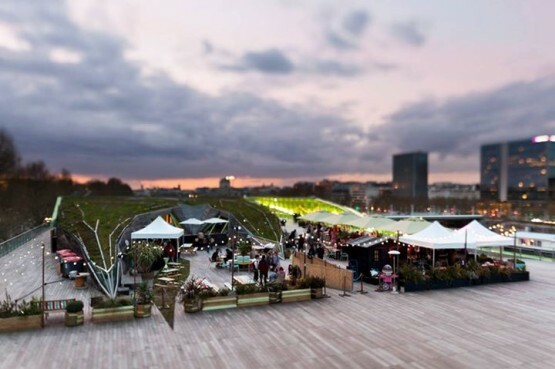 New Fashion: Paris rooftop terraces has also settled on the roof of a cinema. 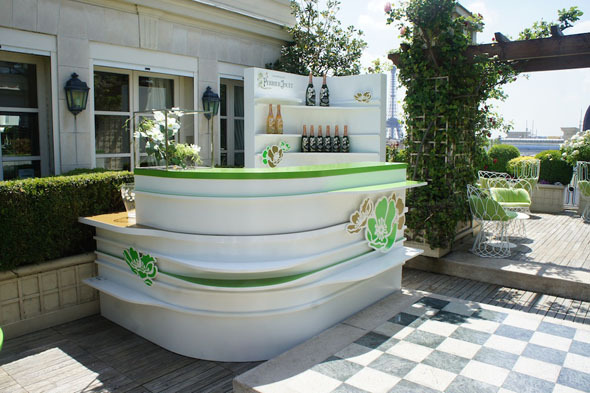 The Kluger Terrace is designed by Talent Shop. Here you´ll find: Fine Food, Drinks and Good music. Do we need anymore? This is where it happens. On the roofs of Luxor; The New Barbès-Rochechouart cinema you´ll find a bar, a restaurant and the terrace. 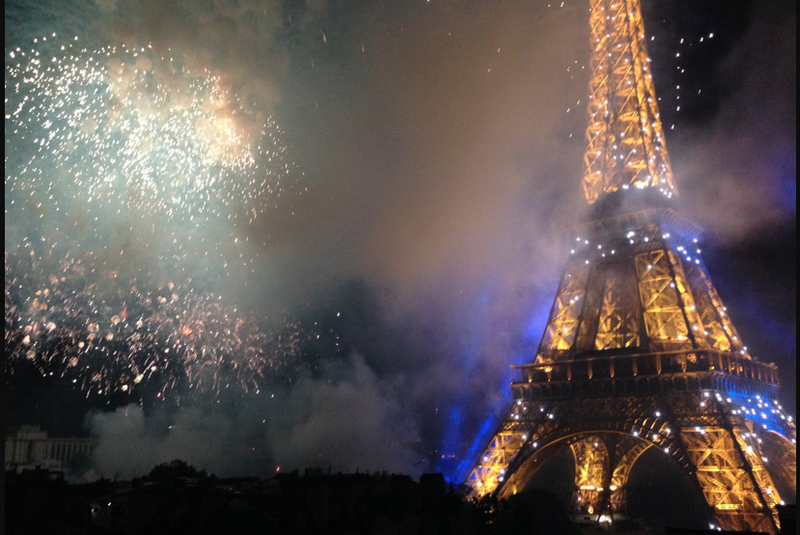 It opens at 16pm and if you already have your movie ticket, you can enjoy it all at the same time… to feel happy in the heart of Paris. 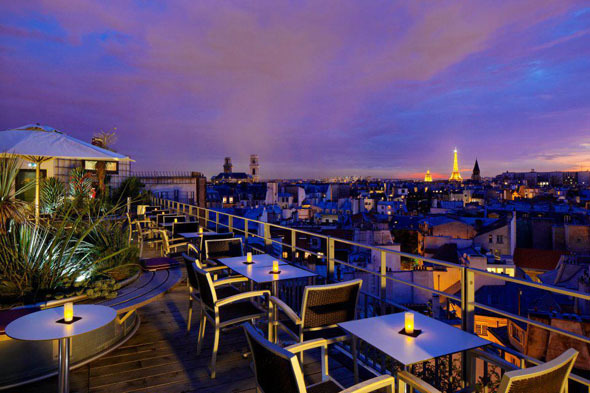 Located on the ninth floor of the Holiday Inn, near Notre Dame de Paris, “Up on the Roof“. Here you don´t find the stunning view, but rather a great cocktail menu. An address that will satisfy all your senses. Enjoy it until the end of October: Wednesday to Sunday, from 4:00 p.m. to 0:00! 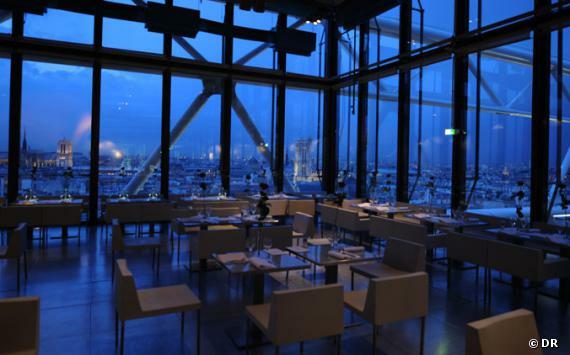 This new restaurant is located on the roofs of Oberkampf. It is still reserved for insiders so hurry up to get there before the secret gets out! Yes, the Parisian hotels are likely to owe some large terraces … And this one is to be found in the Marriott, inParis Boulogne. From 6pm to midnight (until October) you can enjoy a drink in the bar with the panoramic view…For a break that belongs to you! 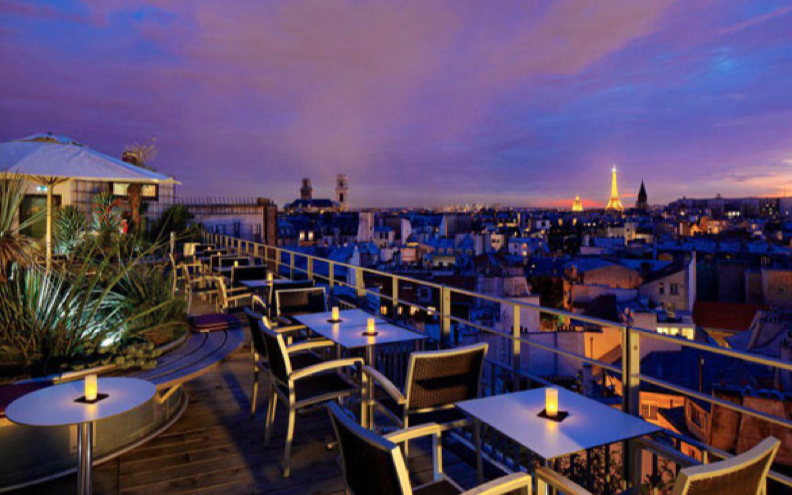 On the Butte de Montmartre, on the seventh floor of the Terrass Hotel, this lounge open to the sky, offering an exceptional panoramic view of Paris. Until September, you can enjoy the sunshine on super comfortable sofas, chatting with friends … while enjoying the Eiffel Tower! A good way to escape the Parisian chaos for a while.